Supplying the best quality contemporary firepits around. 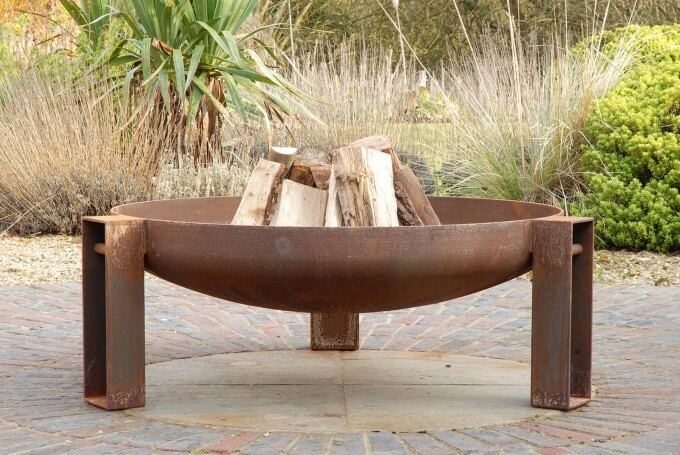 These artisan fire pits are handmade in the UK. 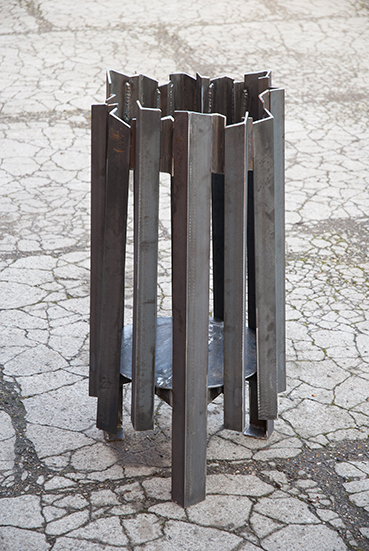 Now available in the USA and EUROPE. At Magma fire pits you can enjoy the luxury of a wood fire outdoors. 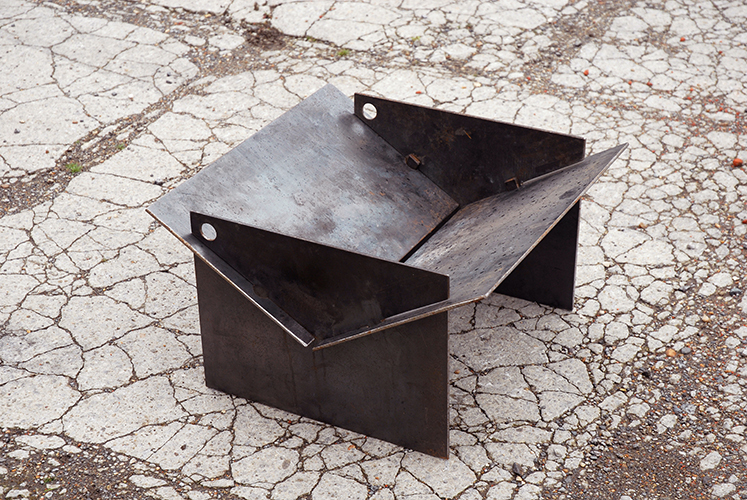 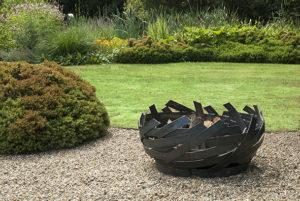 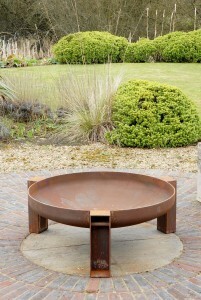 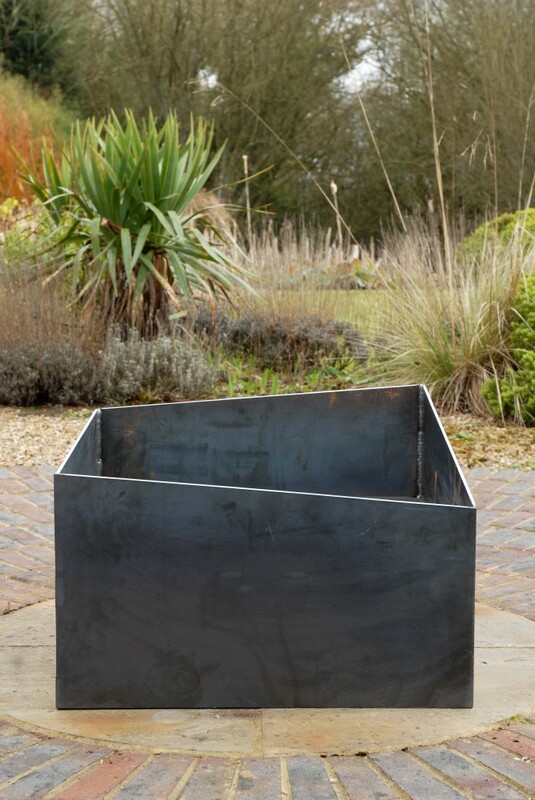 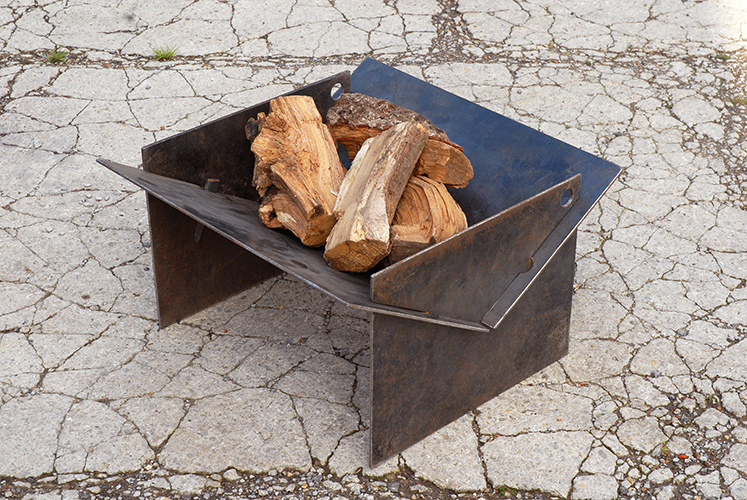 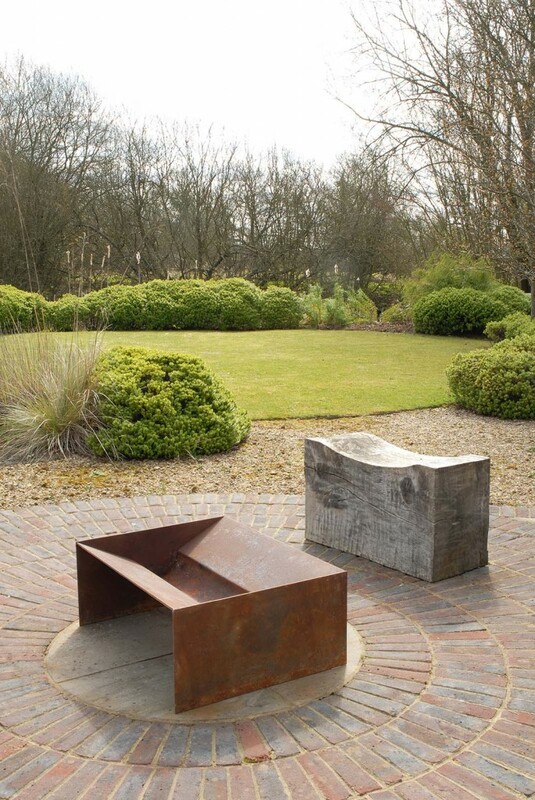 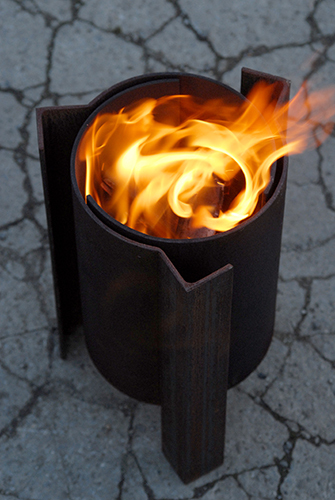 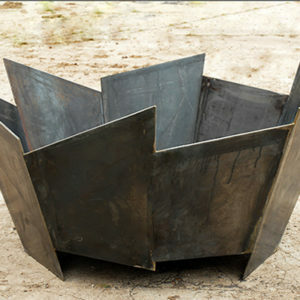 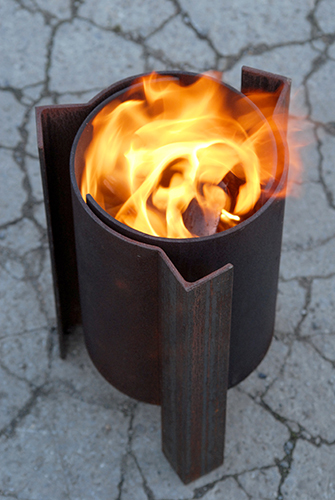 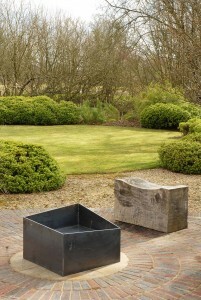 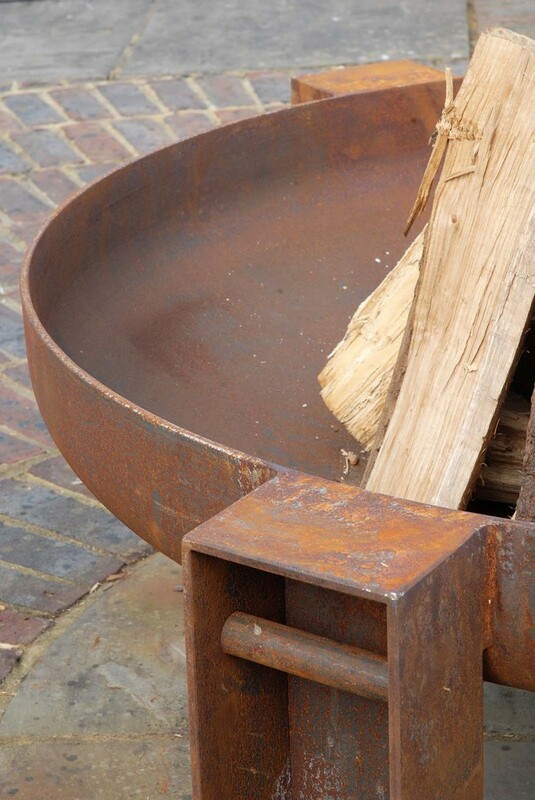 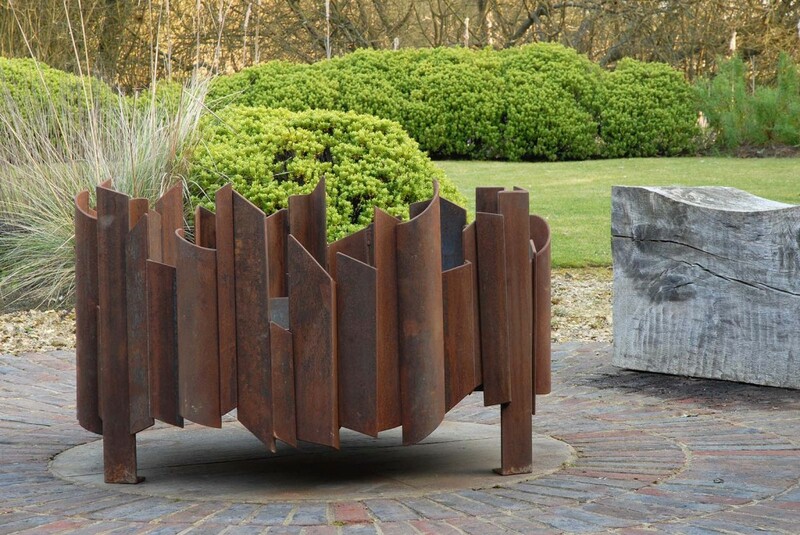 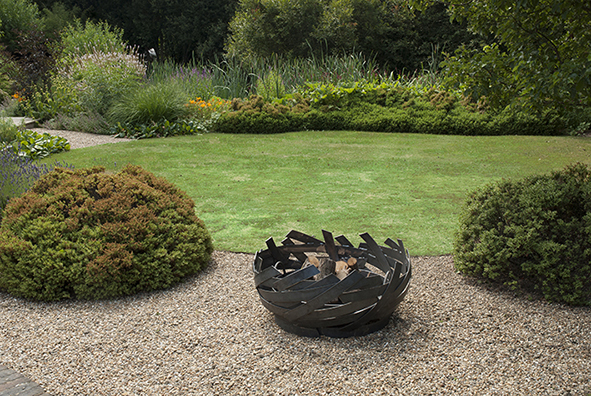 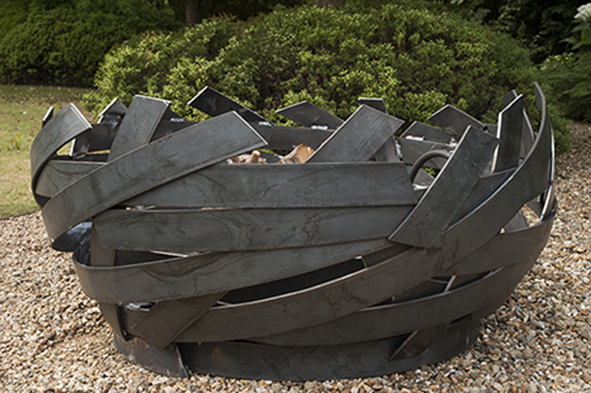 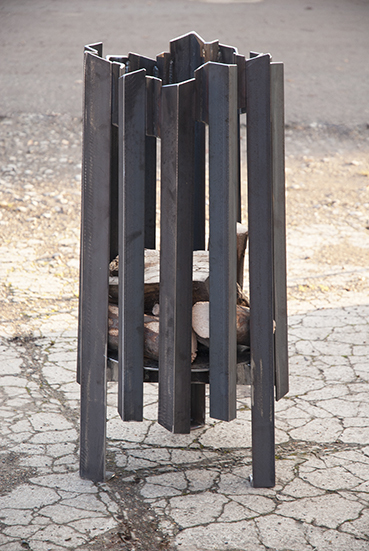 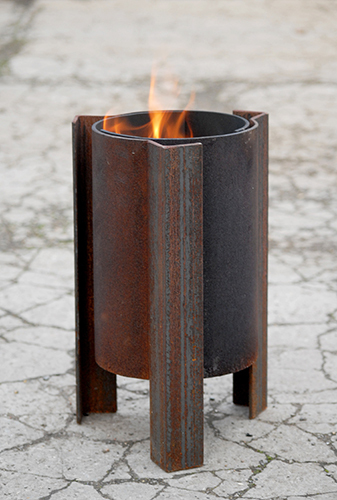 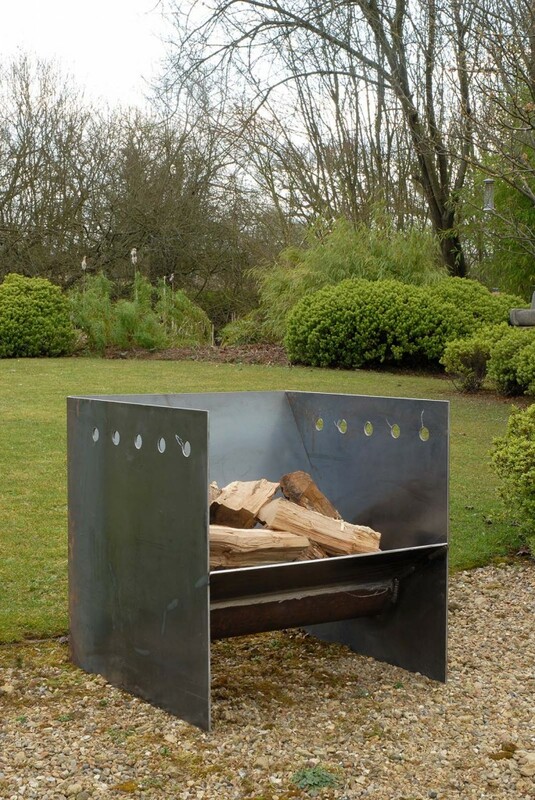 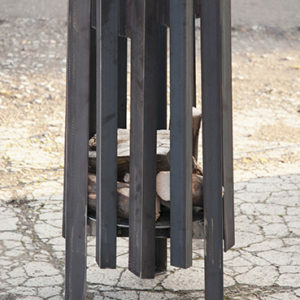 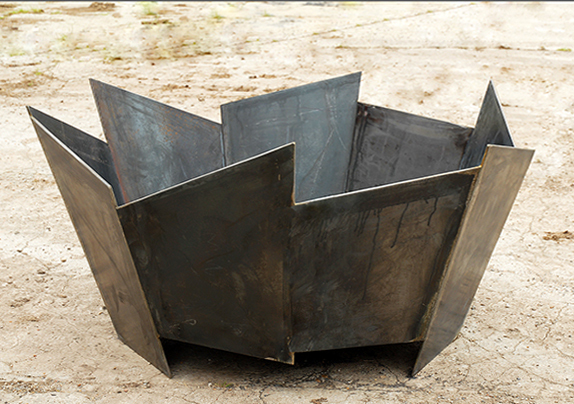 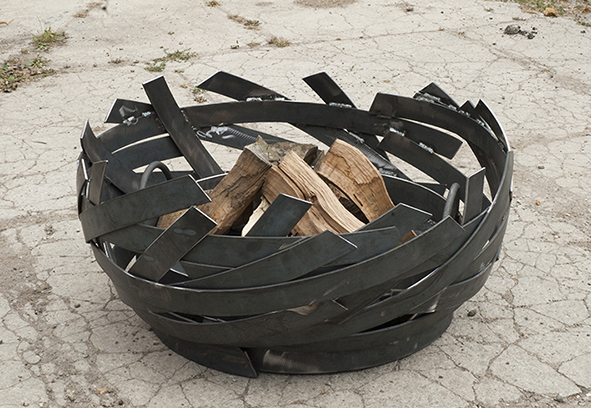 These contemporary fire pits are designed and handmade in England by skilled artisans. 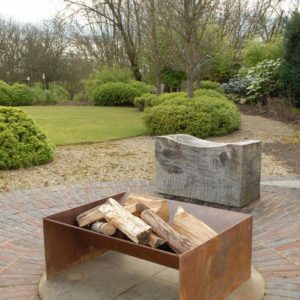 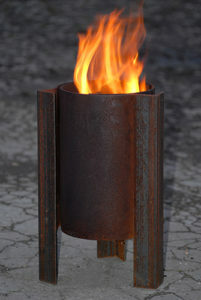 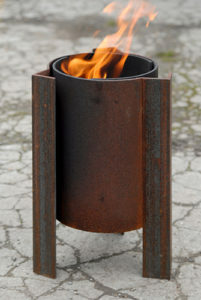 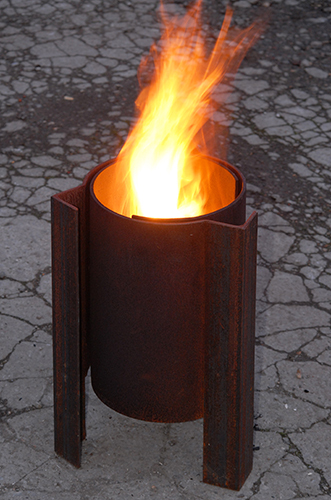 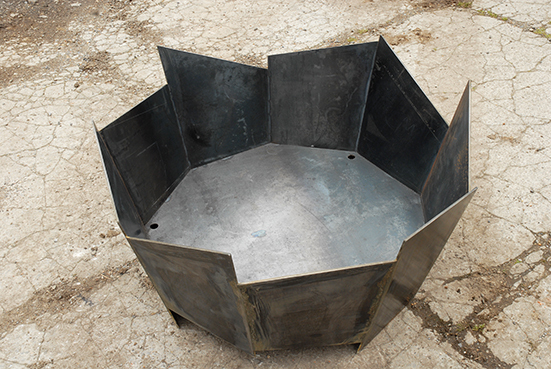 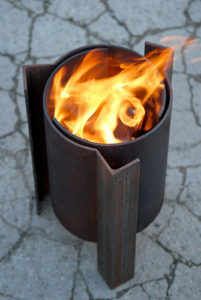 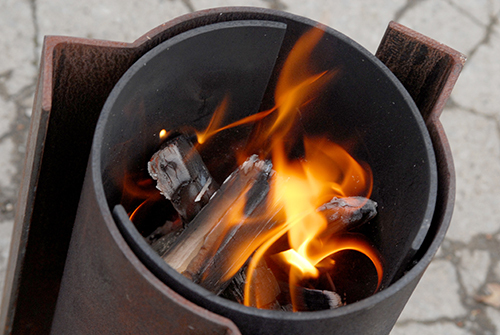 The fire pits are designed to last a lifetime, made from at least 5mm steel, they are the thickest on the market. 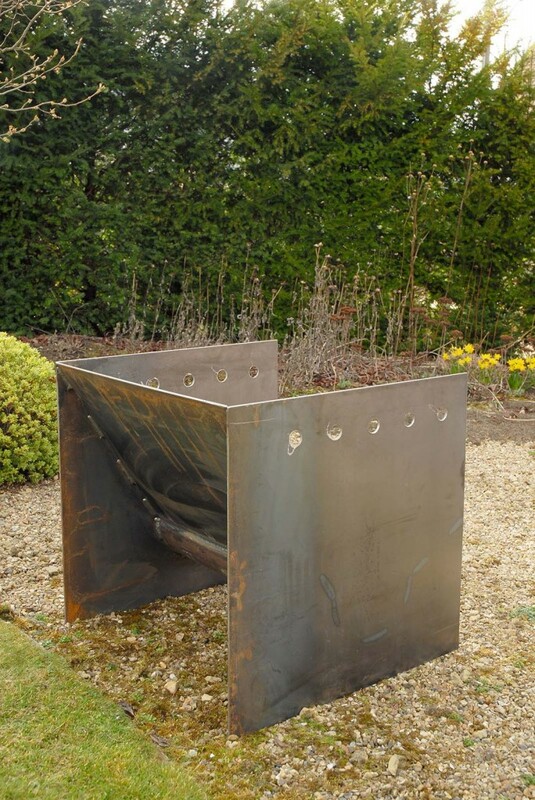 As well as being crafted in the UK the steel also comes from UK stockholders. 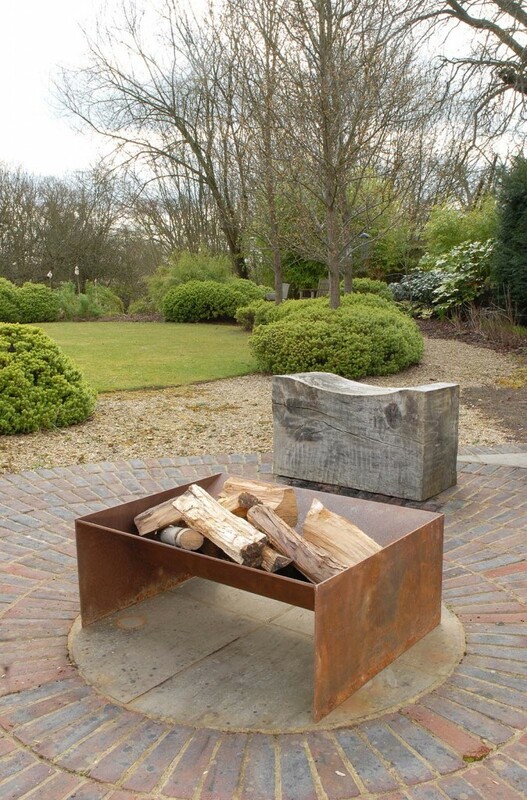 We are so confident of the quality our fire pits are guaranteed up to 8 years. 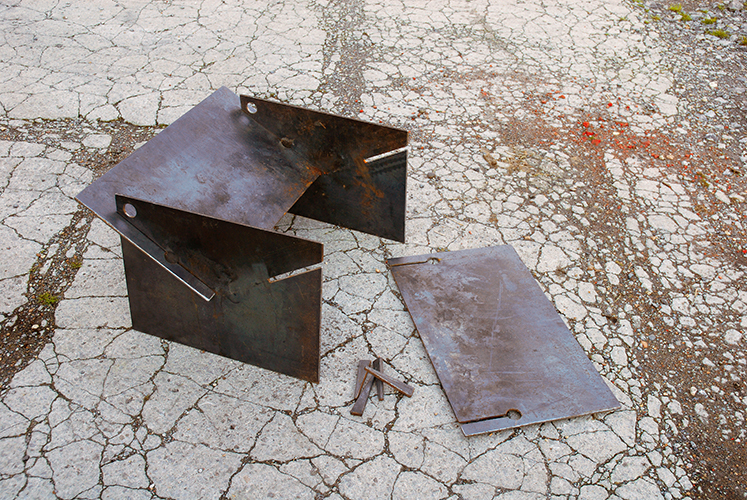 Don't confuse these with the cheaper imported thin examples that quickly rust through. 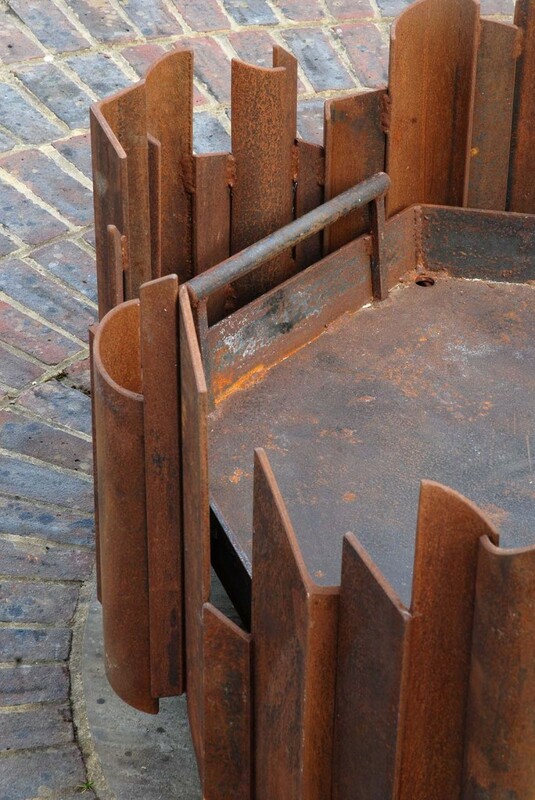 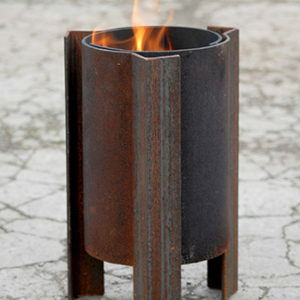 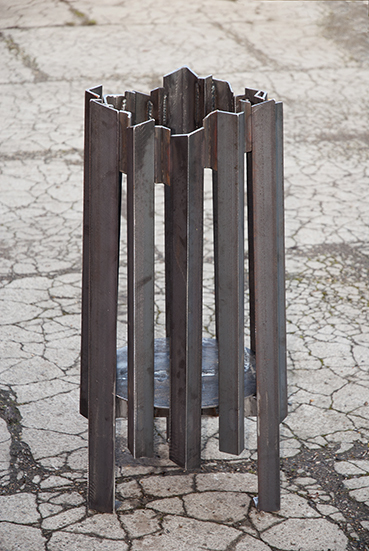 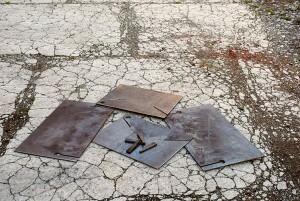 Some designs are available in Corten weathering steel or Stainless Steel. 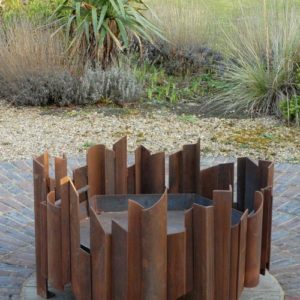 © Designs, content and images on this website are protected by UK and worldwide copyright laws that will be enforced by our legal team. 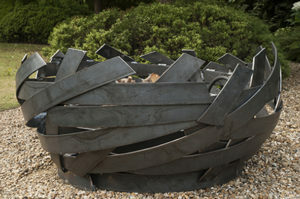 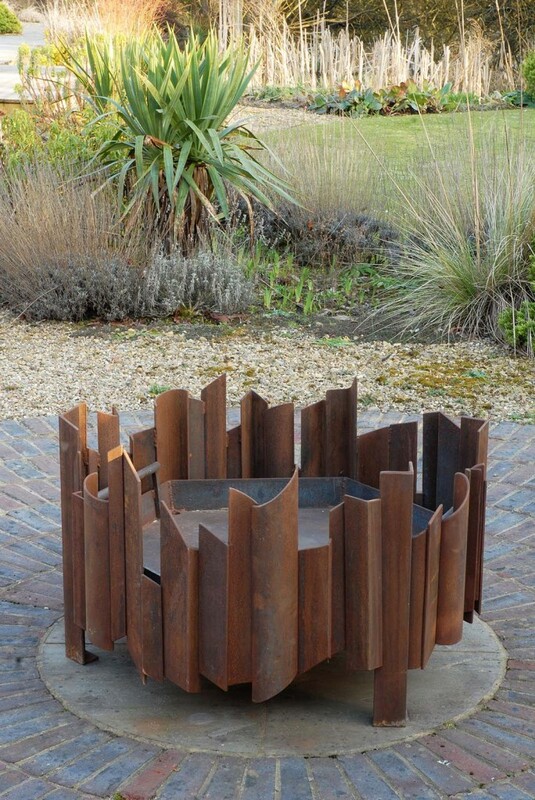 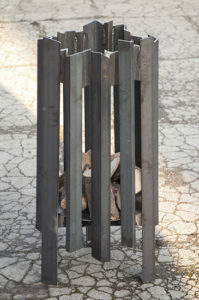 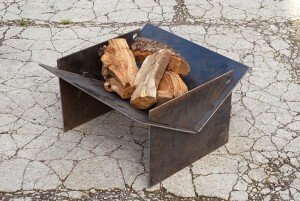 Magmafirepits gallery quality contemporary fire pits, log racks and braziers all hand made in the UK. 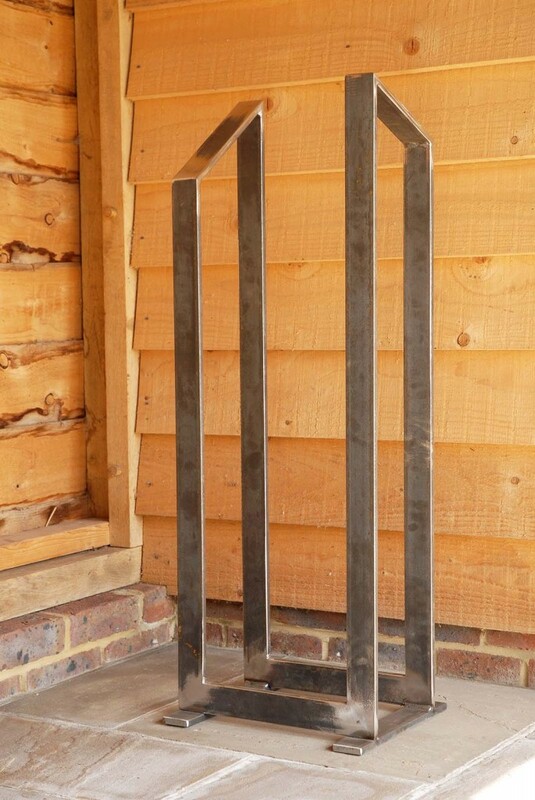 If you have an idea of your own for a more personalised piece a Bespoke service is also available, let us know your requirements. 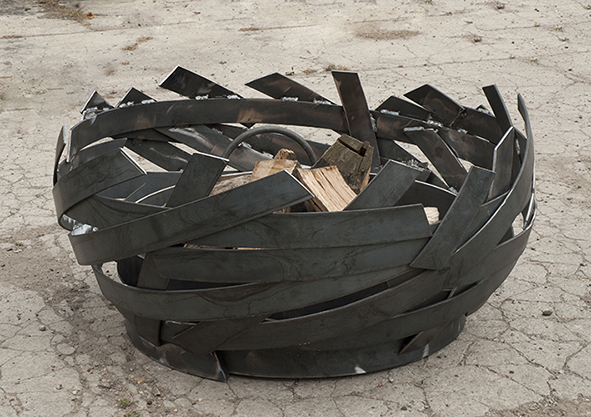 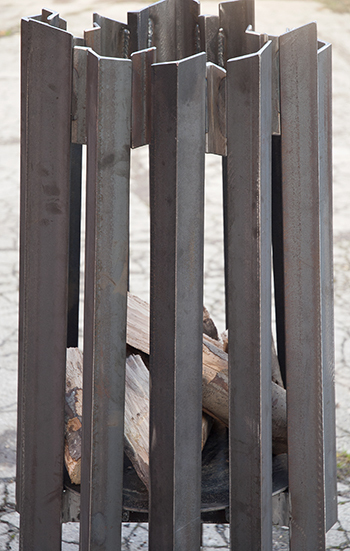 Each fire pit is Individually crafted and numbered. 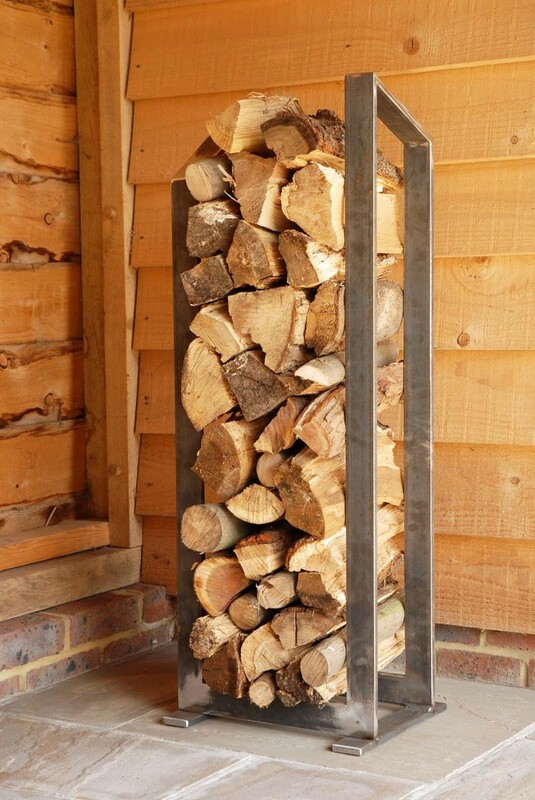 We also design and make log racks and braziers. 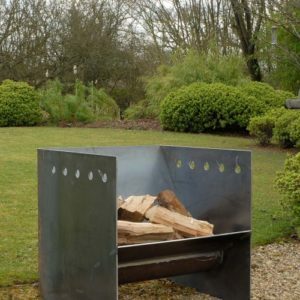 As one has to burn wood, which is a sustainable fuel, you have the voluntary option to make a donation to the woodland trust to improve the carbon footprint, you can buy a tree! 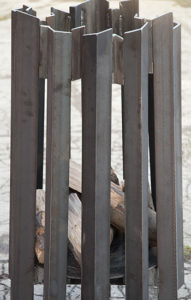 You can order through the website. Feel free to contact us for more details. 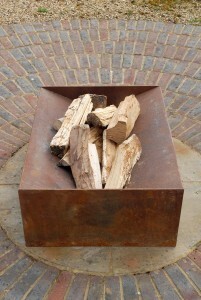 We also grow Oak and Sweet Chestnut saplings to be given away free with the fire pits if you have a space for a tree. 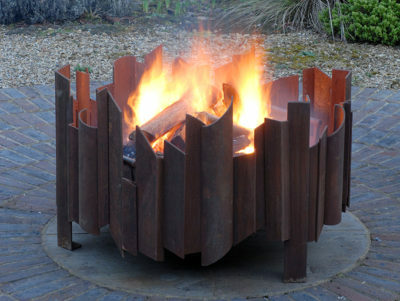 Magmafirepits custom metalwork and furniture. 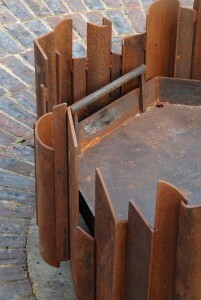 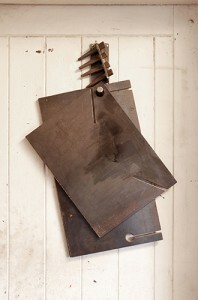 Bespoke metalwork. 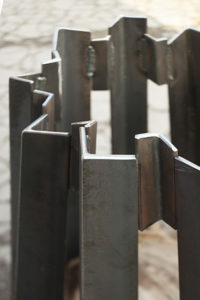 Fabricating for artists, architects, developers and domestic clients. 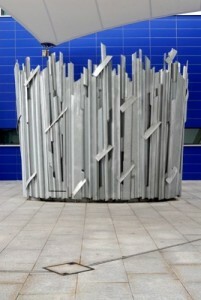 Projects ranging from public art work to site-specific commissions. Utilising steel, cast concrete and other materials. 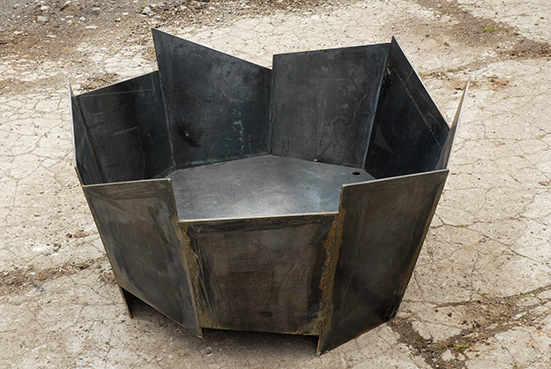 Our furniture website, click here! We feel it is important to try to improve our carbon footprint. 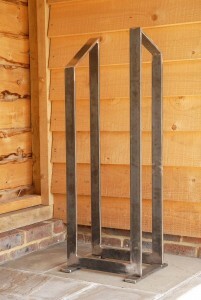 At your request we will send a free Oak or Sweet Chestnut sapling with your purchase. 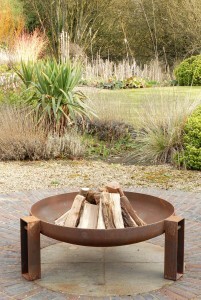 When purchasing a fire pit you could also contribute to the Woodland Trust. 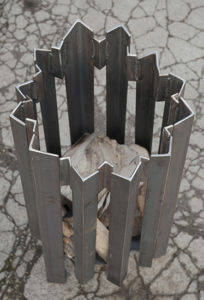 You can help to grow a forest. 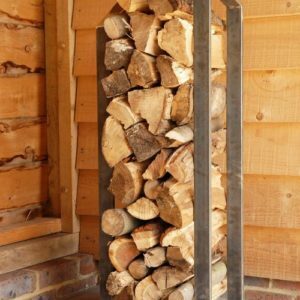 "As the UK's largest woodland conservation charity, we are the leading voice for woods and trees. 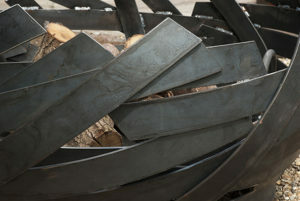 We campaign to protect precious ancient woods. Restore the ones that are damaged and fight for those under threat. We create new native woodland." 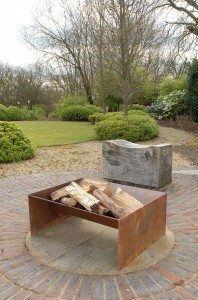 Fire pits are available for hire for weddings, social and corporate events. 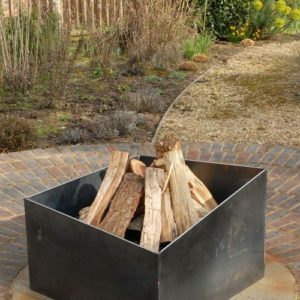 MAGMAFIREPITS are based in West Sussex and will deliver free within a 10 mile radius of RH19, any other deliveries outside this incurs a charge of £2 per mile. 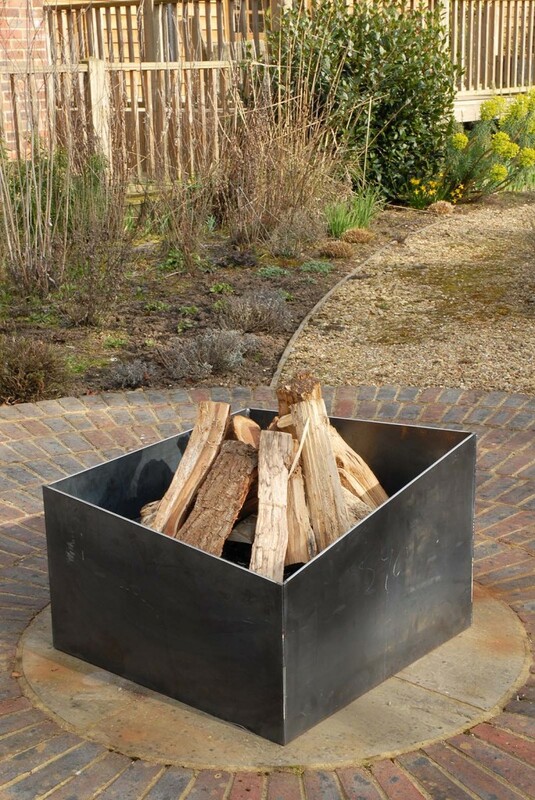 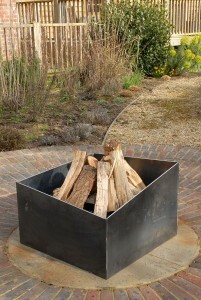 Prices start at £75 per fire-pit plus delivery & collection cost. There is also a deposit to pay. 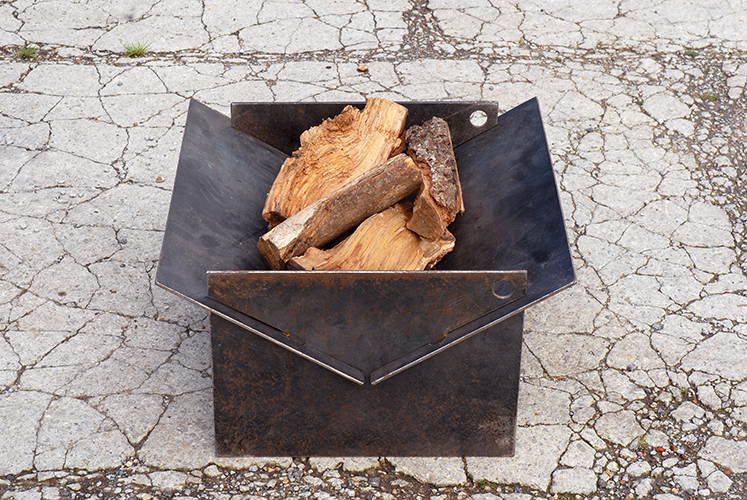 Included are fire lighters and kindling. 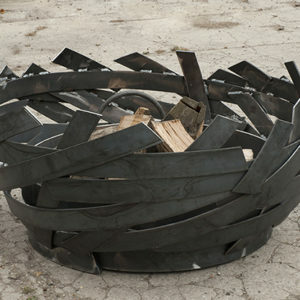 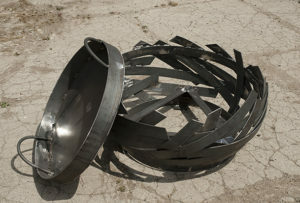 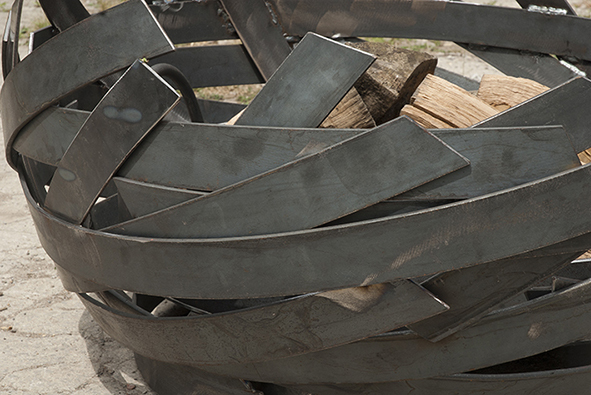 We will install the fire-pit, clean and collect it from your venue.